As we have previously reported, the FDA is writing an entirely new set of food safety laws. There are a lot of huge changes, many of which will have an impact on beginning farmers, organic growers and local farms alike. Join the National Young Farmers Coalition for a National Day of Action to protect local farms! The FDA is accepting comments on its proposed rules until November 15th – we need to make sure the final regulations protect consumer safety while not crushing the beginning farmer movement. We’ve distilled the thousands of pages of rules into a more understandable form – take a look at the “What’s at Stake” page for an analysis of the different rules, from soil amendments to water testing to record-keeping requirements. NYFC is working with the National Sustainable Agriculture Coalition to prepare technical guides and talking points, but we need your help to get folks together to write comments to the FDA. They are seeking unique comments to the rules (no form letters or petitions) so we are mobilizing our farmer network to deliver specific letters to the FDA on how the rules will affect our farms. 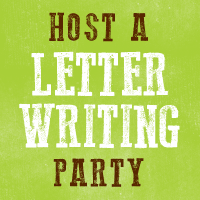 Sign up now to gather friends at your farm or a local coffee shop, include letter writing at an upcoming harvest party, or bring materials to a public event!